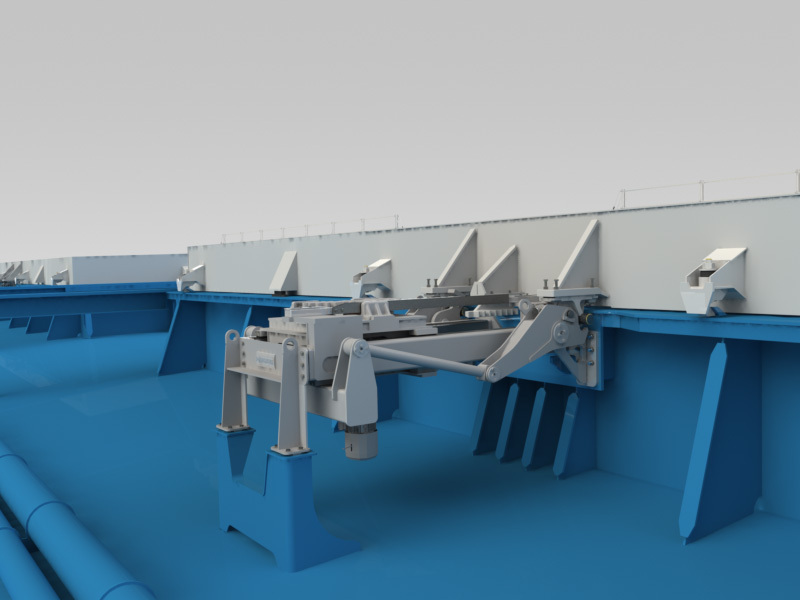 MacGregor, part of Cargotec, has confirmed that five 180,000 dwt bulk carriers under construction in South Korea at Sungdong Shipbuilding and Marine Engineering, will feature MacGregor side-rolling hatch covers operated by MacGregor's innovative MacRack technology. The order includes the design and supply of key components and the fabrication of the hatch covers. The bulkers are destined for two Greek owners, the first two for Quintana Shipping and the remaining three for Alcyon Shipping. The first vessel is scheduled for delivery at the end of 2014. "Technology that drives new standards of efficiency and minimises environmental impact is an essential element of today's market," says Torbjörn Dahl, Senior Naval Architect for Bulk Ships at MacGregor. "The new orders demonstrate shipowners' willingness to invest in this type of technology and they are a testament to the confidence these particular owners have in MacGregor's ability to deliver this type of solution. We anticipate that MacRack will become the standard system for side-rolling hatch covers, making separate hatch cover lifters obsolete." Each hatch cover panel will be operated by an electrically-driven MacRack unit, which both lifts the panel up from its closed position and then rolls it away to its open, stowed position. The panels are automatically freed from their securing cleats as they are lifted. The overall operating time for one hatch is approximately 2.5 minutes. Each MacRack unit is mounted at the associated longitudinal coaming, driving a pinion which engages with a rack fitted underneath the hatch cover panel. In the open position, panels are stowed on transverse ramps. During the closing operation, the hatch covers are automatically cleated and made weathertight. Automatic motor brakes prevent the panels from unintentional rolling at all stages of the opening and closing process.